I love books that fill me with the holiday spirit. I love reading about miracles during Christmas time, and how it brings families closer together. 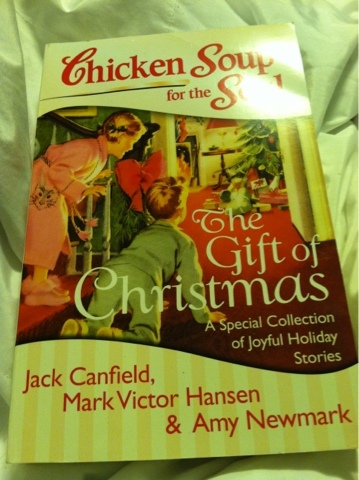 If you do as well, you will love Chicken Soup for the Soul: The Gift of Christmas. One of the fantastic things about the Chicken Soup for the Soul books is that they are written in short story format. Usually, I have only a couple minutes here and there to read. With this book, I have it in my purse and any time I have a few moments (picking up the kids, dropping them off, running errands), I just open it to a new story! I can usually finish a story in a short amount of time! MamaBreak belongs to the Chicken Soup for the Soul Blogging Network. They received this book to review here on the website. They did not receive any other type of compensation. As always, our opinions and experiences are our own.